Winter is just around the corner, and we’re pulling together some of the most sensational Christmas parties yet. One of the most important decisions you’ll face is the choice of venue. We’ve put together 10 of the best spaces for your 2016 Christmas party. Old Billingsgate – right in the heart of the city, the venue is a Grade II listed building with impressive The space has a rich history and breathtaking architecture. The main hall is ideal for a larger party that requires staging and theming. OXO2 – party the year away amongst a backdrop of London architecture and stunning panoramas. There are two event spaces within the venue, ideal for smaller parties or as breakout areas. The theme this year is Arctic Circle, and that means guests can look forward to crisp, white theming, and plenty of sparkle. There will be an ice bar and fantastic lighting to mimic the Northern Lights. The Roundhouse – take advantage of state-of-the-art technology complete with incredible lighting and sound to party the night away to at this amazing 1847 circular building. One London Wall – an elegant event space, guests will be transported to the 1940’s in this traditional venue. Earth Halls – pick this Christmas venue and dine amongst the stars complete with a seasonal setting inspired by the site’s centrepiece, an incredible globe. If you would like a space and constellations themed Christmas party, this is the celestial atmosphere for you. 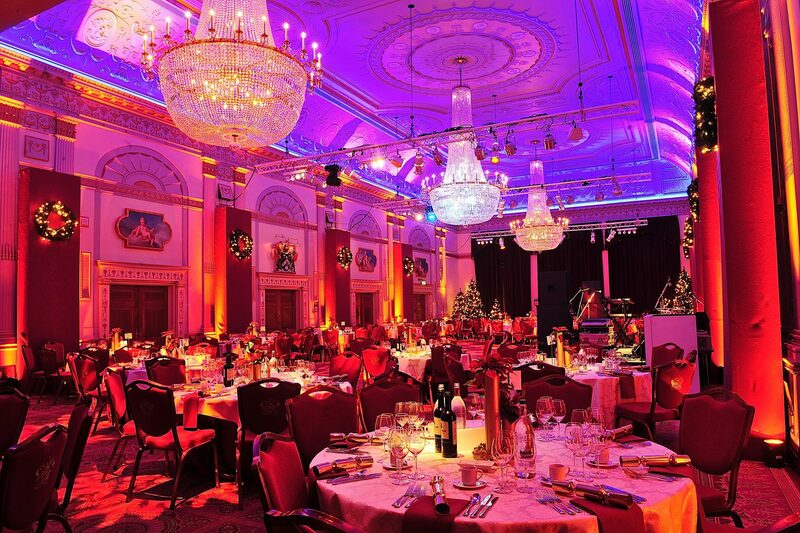 Glaziers Hall – treat your staff to a Gatsby-themed Christmas and let them enjoy exploring the underground space that will be brought to life with flickering candles and lanterns reminiscent of a 1920’s Christmas. The Pavilion at the Tower of London – this year the venue’s Christmas theme is Midnight Bloom. The space will be transformed into a midnight garden making for the most magical Christmas setting. Vintage touches will be added with the likes of gramophones and subtle lighting. The Vaults, at Old Billingsgate – what could be more festive than an Après Ski Christmas party? The venue’s winter design is inspired by the cosy log cabins of Chamonix and will transport guests to a wintery wonderland of celebration. The feature bar and wintery wall scenes are straight from the slopes and guests can look forward to a live band, DJ and the perfect ski backdrop for those memorable photos. 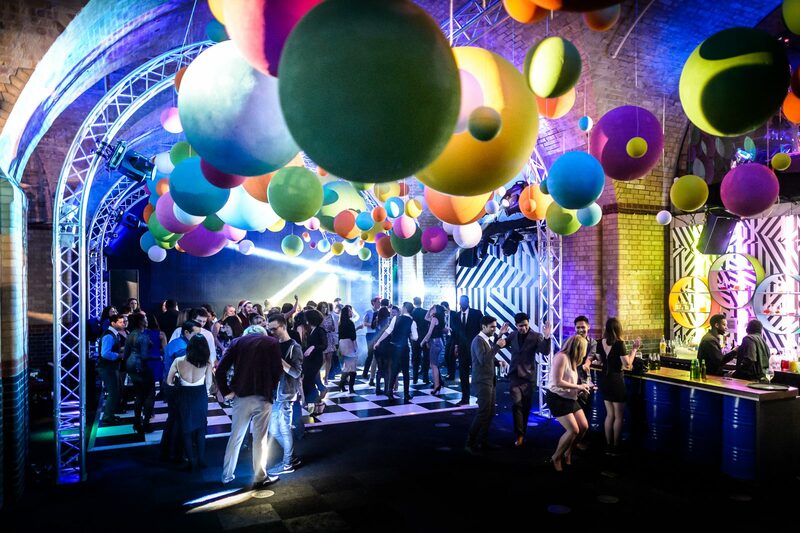 The Artillery Garden at the HAC – for something completely different this Christmas, enjoy a Wonder Nights carnival theme with a vintage twist at this sensational venue. Look forward to a bold and bright Christmas party complemented by a live brass band and specially created “Wonder Nights” show. Studio Spaces – kick off Christmas at this eclectic venue that offers state-of-the-art technology and lighting. This year’s Christmas theme is “Spotlight” and guests can look forward to partying the night away at Studio Spaces. Spaces are already booking up for Christmas parties. Make sure you book your preferred venue soon.